Amidst fan clamour for Simi’s debut album, “Smile For Me” comes as her first single since the release of Chemistry her joint album with Falz. The single was unveiled earlier in the year to be a potential lead single off her upcoming album (expected later this year) and as part of promotions, the roll-out has been accompanied with an adjoining video. “Smile For Me” is directed by Clarence A Peters and cuts from the video takes us back to a time of record players and bicycles. 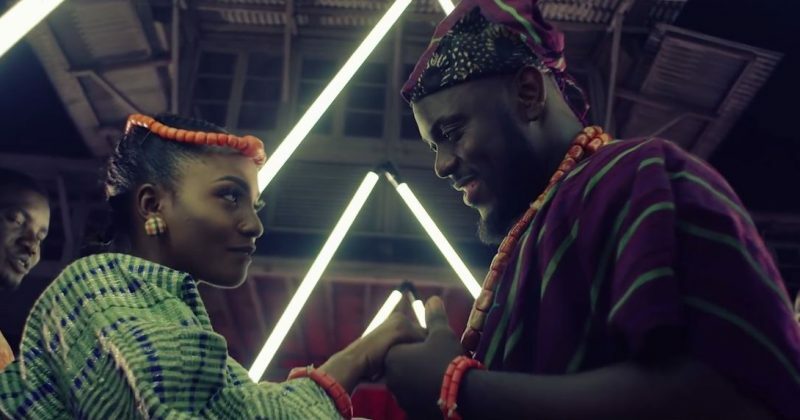 Simi is lead on a romantic quest to find her lover who has prepared mysterious hints that would help her journey through romantic scenery and traditional drummers. She finds her lover, actor Ayoola Ayobami whose love gestures has her smiling all through the video.